Growing disciples of Jesus Christ among children from infant to 5th grade, and their families. 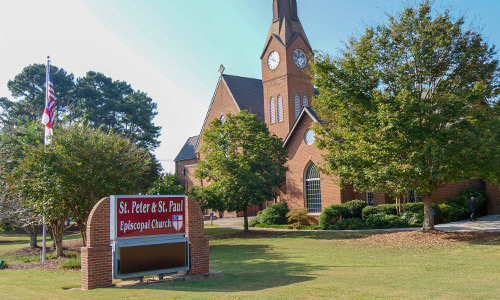 At St. Peter and St. Paul we want you to know that your children will be in a safe place where they will be welcome as they learn about God’s love and having a relationship with Jesus Christ. Our Sunday School operates throughout the school year with the following classes from 9:15 – 10:15 AM led by dedicated and caring teachers. We are also involved in numerous programs designed to engage and encourage children in their growth as disciples of Jesus Christ. Children’s Ministry also supports Worship Ministries, including Acolytes and Children’s Choir. 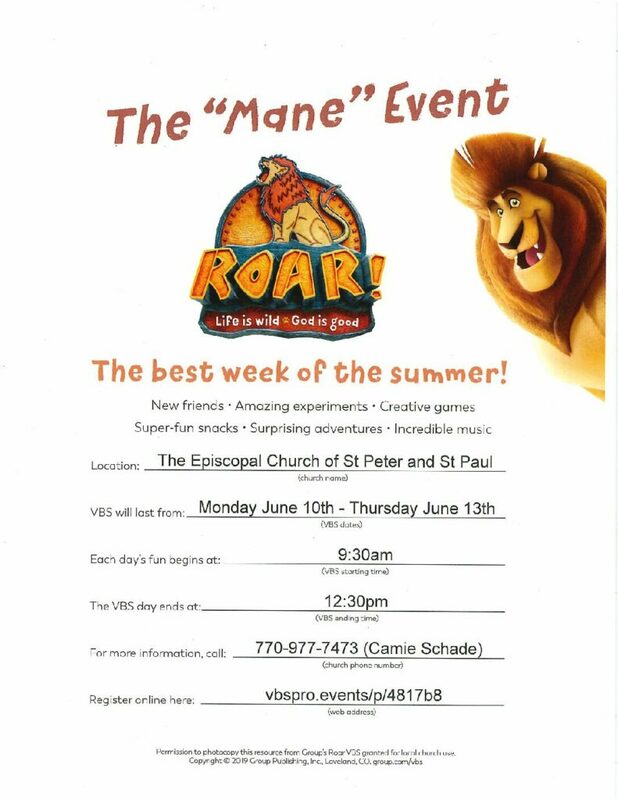 If you would like to learn more about the Children’s ministry contact Camie Schade at cschade@peterandpaul.org. Camie is the Director of Children’s Ministry and would love the opportunity to meet with you and get to know you better. Camie is around most Sunday mornings for a quick chat or would love to meet you for coffee/lunch if you would like more time. Our Nursery supports several perish activities, especially Sunday School and the 10:30 service. For more details and availability, please check the church calendar by Clicking Here. Sunday school is from 9:15-10:15. Please contact Came Schade at cschade@peterandpaul.org with any questions. Our infants and toddlers have a lovely sunny nursery supervised by caring adult staff and trained adult & teen volunteers. The Nursery is available during Sunday School at 9:15 and during the 10:30 service. The preschool children have classes which focus) on a variety of Bible stories using the curriculum from the Virginia Seminary. Classes are taught with activities and music fostering a love for these wonderful stories of our faith. Our youngest children and babies have a lovely sunny nursery which is attended by caring adults and trained teenagers. Sunday school at 9:15 and the nursery is also available during the 10:30 church service. Our Kindergarten and First Grade classes are combined and Godly Play is used for this age group. This is purposeful storytelling in which our children are taught parables, sacred story, silence and liturgical action using manipulatives. The children of Saint Peter and Saint Paul in second through fifth grades have an opportunity to reflect on one of the Lectionary readings (the readings used in Sunday worship) with caring adult teams of three using the Living the Good News curriculum. Each lesson will focus on one of the readings for the day, usually the Gospel. The lessons are age appropriate and filled with engaging activities. See below for assignments of Sunday School Teachers and Classrooms.